This is a discontinued item with limited availability. It is being replaced with a lighter version, SM-ST301, which is available in the following colors: Black/Graphite Grey, True Navy/Carolina Blue, True Navy/White, Forest Green/White, and True Royal/White. This is a discontinued item with limited availability. It is being replaced with a lighter version, SM-ST301, which is available in the following colors: Black/Graphite Grey, True Navy/Carolina Blue, True Navy/White, Forest Green/White, and True Royal/White. Please call to check availability before ordering. 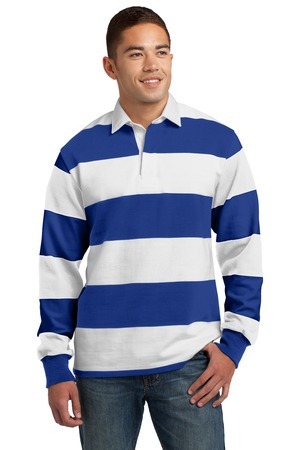 Be the first to review “Sport-Tek Long Sleeve Rugby Polo Style ST300” Click here to cancel reply.